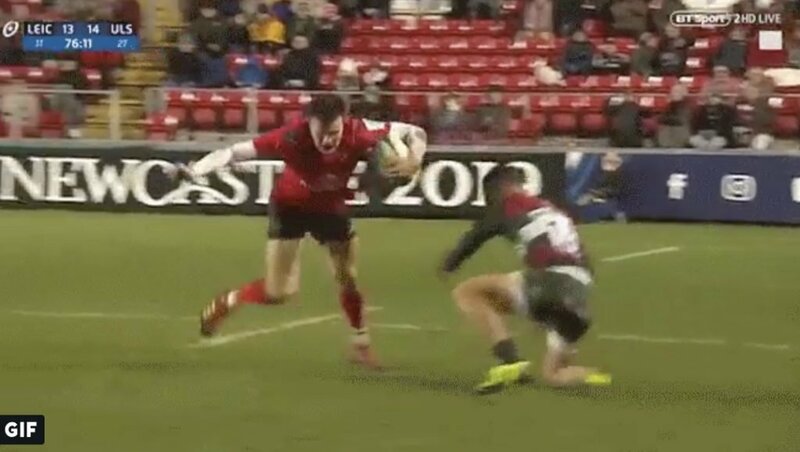 Granted this GIF is very VERY short, but it does enough to show just how good Jacob Stockdale is and the fears that May will have the next time he faces him in the Six Nations. May was wrongfooted by Stockdale in a clip he won’t forget for a long old while. Both of Ulster’s backs were getting in on the act last weekend against Leicester.